The Flow Cytometry Core's primary function is to offer Center Investigators the ability to utilize complex and technically-challenging flow cytometric approaches to characterize cells and their functional and signaling properties. The Core is also committed to an educational goal. Not only will Center members be trained on the operation of instruments, it is the intent that all users completely understand cytometric theory, application, and data analysis. Support current COBRE and Center projects. The Core provides state-of-the-art equipment and the technical and analytical expertise to address the flow cytometric needs of the supported early career investigators, other members of the Diabetes and Obesity Center and other investigators at the University of Louisville. Educate and train investigators. Many of our Cores organize seminars and informal meetings to serve as a forum in bringing together users and to initiate discussion of novel reagents and applications. It is intended that all COBRE-supported early career investigators, in their transition to independence, will completely understand cytometric theory, application, and data analysis and be able to competently incorporate flow cytometry as an analytical tool in their future studies. Develop new protocols and techniques. The Core is currently expanding its operations to support the multidimensional flow cytometry needs in the future. With the incorporation of new investigators into the Center in the future,new projects and experiments will be carried out to perform cutting-edge research to address the rapidly spreading epidemics of diabetes and obesity. The Core is housed in a 400 ft2 laboratory in the Baxter II building at the Health Science Center at the University of Louisville. This lab is fully equipped with the LSR II and MACSQuant® cytometers (described below) centrifuges, computers, refrigerators and freezers, tissue culture hood for sterile techniques, incubators, and all the small equipment needed for cell handling and staining. The MoFlo cell sorter (described below) is housed in the adjacent MDR building. MoFlo: Housed in the MDR building, this is the DOC's cell sorter. Currently set up for five (5) color, two (2) laser detection, it can sort cells at rates up to 40,000 events/second. This instrument is currently only available by reservation with the Core Director as it requires a dedicated, trained operator. BD-LSRII: This Becton Dickinson (San Jose, CA) cytometer is housed within the cytometry room (Baxter II Room 207). It is equipped with three (3) solid-state lasers; a 488 nm (Coherent), 633 nm (JDS Uniphase), and 405 nm (Coherent). The LSR II has up to 11 color detection (five (5) off the 488 laser, and three (3) each off the 633 and 405 lasers). Abbott Cel-Dyn 3200: This instrument is used for the complete blood counting (CBC) of human and animal (mouse, rat, rabbit, non-human primate) samples. 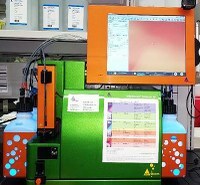 Miltenyi MACSQuant®: This recently obtained cytometer has three (3) lasers and eight (8) color detection. In addition, it is equipped for 24 tube and 96 cell automation. Miltenyi gentleMACS™ Dissociator: This instrument performs standard tissue digestions for the generation of of uniform single cell preparations. MAGPIX®: This instrument uses Luminex's xMAP® technology for multiplex analysis of plasma samples. 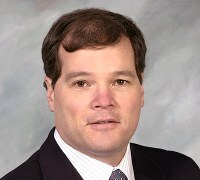 Dr. Timothy O'Toole has used flow cytometry as an analytical tool for over 24 years on a variety of instruments. He has overseen all core operations since its inception.